Our flexible, part-time program allows working professionals to take individual courses on a non-degree seeking basis, or complete a 5-course graduate certificate, or complete a 30-credit non-thesis master’s degree. Class meetings are live and interactive, allowing students to engage with one another and with the instructor in real time, as well as using asynchronous discussion boards and pre-recorded lectures and videos. Live class sessions are held on weekends and after hours (eastern time), generally twice per week, and classes are roughly 7-weeks in duration. Students in the program also have an opportunity to add-on an MBA degree from Stetson University, in conjunction with their MSPharm from UF. 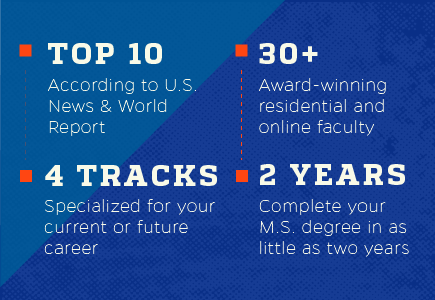 Both degrees can be completed in as little as 3 years, 100% online. 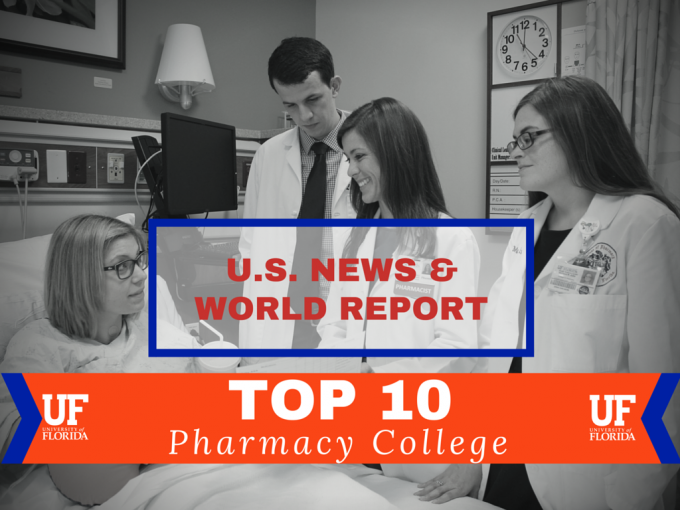 The University of Florida College of Pharmacy has continued its rise to the top of the U.S. News and World Report’s national rankings. UF moved to No. 9 nationally among 125 pharmacy colleges and doctor of pharmacy programs included in the rankings. The top 10 position reflected a move up from No. 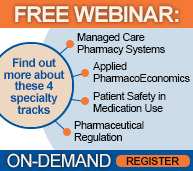 14 in 2012, the last year that U.S. News and World Report ranked pharmacy colleges. In addition to placing in the top 10 nationally, UF continued to maintain its No. 1 ranking among pharmacy colleges in Florida. 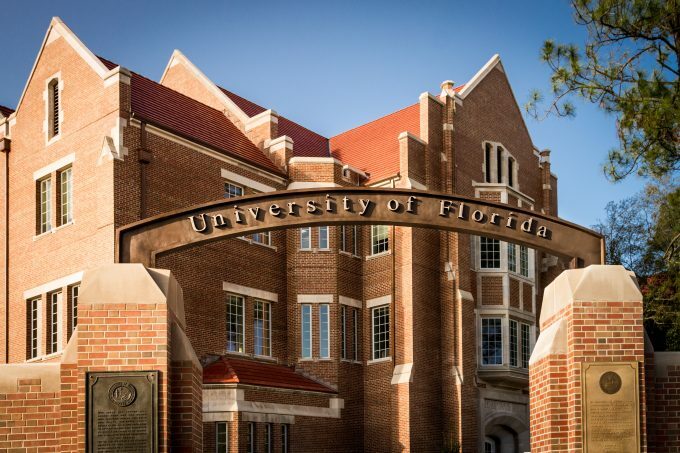 The University of Florida has become the first Florida school to break into the list of top 10 best public universities, coming in at No. 9, according to the 2018 U.S. News & World Report Best Colleges rankings.